Comedy scene in India has been amazing ever since Comedians like Johnny lever, Jaspal Bhatti, Vir Das etc. came forward and set the stage on fire. But the real phase of comedy took off with the introduction of internet which not only provided the best platform for the artist to showcase their talent, but also allowed many artists to learn and progress. One such comedian is Harman Preet Singh. Back in 2011-12, a few comedians came forward on YouTube to make their mark in comedy and they succeeded in doing so. Inspired by them, many others came forward to pursue their passion. Bangalore and Mumbai offered so many opportunities to them and these places soon became a hub for comedians. No sooner, comedy became a full-time profession. And we see people pursuing Stand Up comedy full time now. While some of the comics were able to make their mark, many are still struggling to make one. 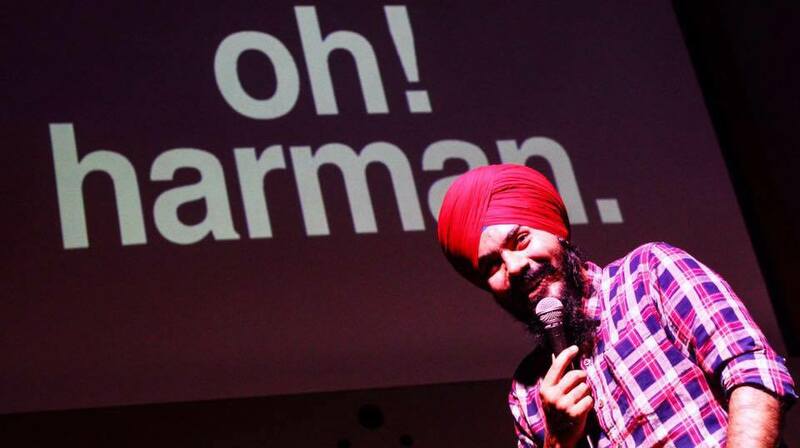 Harman Preet Singh, 24 year-old budding comedian, well known in Bangalore Comedy circuit, is trying to make his mark. Harman, who loves being on stage ever since he was a child, is a regular face in the Bangalore comedy circuit. Here’s what he has to say about becoming a humour sapien. Just like many Indians, I too grew up watching Russel Peters. I used to host and manage shows when I was in 11th grade. Since then, I started doing the crowd work and began enjoying being on stage. People started thinking I was a stand-up comedian. Then I realized that maybe I should stick to it. September 2015 was when I started hitting the open mics. After bombing on stage during the open mic, I became low on confidence. And that’s when I took a break from comedy for 6-7 months in the Bangalore circuit. But I didn’t give up on it, and continued my run as a comedian by doing corporate and college gigs on a regular basis, making full use of my stage skills. April 2016, I hit the Bangalore comedy circuit again and since then I am a regular to the world of comedy. I did face quite a few challenges which mostly every comic faces when they step on stage – the acceptance from comics and audiences. I am of this opinion that, in order to be a good comic one has to be themselves and the audience should accept you the way you are. Though it took me a few years to reach a level of confidence that I have, however, I believe in giving my best shot on stage in every show I perform in. Your audience can make you or break you, you got to keep them happy. Harman Preet Singh is confident that he will make it big into the scene soon. He follows a practical approach, and says, “Jis din mai funny ho gaya uss din mai kisi ka wait nahi karunga,” without waiting for anyone’s opinion, he would take the world by storm. Well, we think, had he not chosen to be a comedian, he would have been a great motivational speaker.